All new Lightning EarPods leaked for Next version of iPhone. All we know that the next iPhone version doesnt include the 3.5mm headphone jack since Apple replace that jack into lightning cable. The new Lightning EarPods leaked online now.Also there are three version of iPhone expected this year.The next month full of Apple product fill in the market. Actually the new leaked video about the LightningEarpods clearly explain the new EarPods of next version of iPhones. The new video comes from YouTube channel Bshop Kuwa, and the protagonists are three iPhone mockup devices. The video gives us high-resolution quality tour of the three devices from all angles. It confirms the shift of antenna bands to the edges, the protective ring around the camera lens, and the absence of 3.5mm headphone jack. The next iPhone models sport two speaker grilles at the bottom. The three variants are rumoured to be called - iPhone 7, iPhone 7 Plus, and iPhone 7 Pro. The iPhone 7 Pro is seen sporting the dual camera setup, but lacks the rumoured Smart Connector. The video also confirms the arrival of Rose Gold, Silver, and Gold colour options. 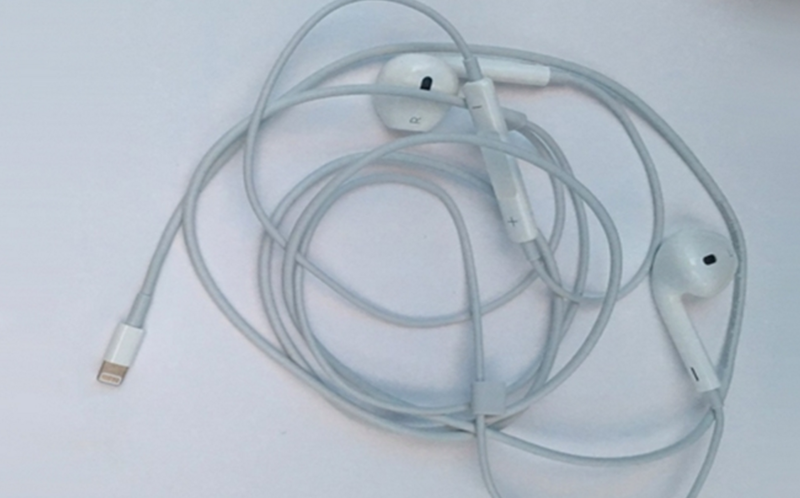 In the video its just Earpods and the only change is connector.They work just like normal earphones, except for the Lightning connector. In addition to all these leaks, there's a separate report from Forbes confirming the addition of the Lightning-powered EarPods in the box accessories, but is also indicating that Apple will launch new wireless Bluetooth headphones as well. The Bluetooth headphones, presumably with the Beats branding, will be launched as an alternative to the Lightning-powered EarPods. The report claims that Apple has been working on a Bluetooth chip in-house for many years. This effort began soon after the acquisition of Passif Semiconductor in 2013. Apple's chip will make the wireless headphones stay connected to the iPhone for a longer time, using less power to doing so. The Bluetooth wireless headphones are expected to survive 'all-day', just like the Apple Watch. hitting the markets by September 16.